Using paste-like electrolytes based on graphene, our batteries have a less demanding manufacturing environment. Achieving a 60% of the Lithium capacity and 12 times faster charging time, we offer a future for electric vehicles . Charges up to 1350 times faster than lithium based technologies. Only 55 kg can absorb the intensity needed to charge a car in 6 minutes. Protected research from partners reduces cost of graphene to ⅓ of the price. Fast charging batteries reduce charging time to a few minutes. Magnetic coupling allows for safe energy transfer between vehicles. Batteries that charge in minutes and safe energy transfer offer the chance to tranfer energy while stopped at a traffic light. 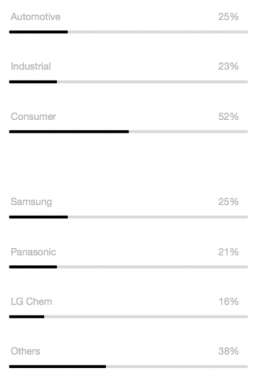 Many battery manufacturers,but no graphene batteries. Graphenano claims to make graphene batteries but none have been seen. Dongxu G-King battery has been presented but never brought to market due to high costs of graphene. The research team has evolved from a laboratory cells towards a commercially standardized package. First prototypes have been built in a commercial format. Earthdas has the support of the Generalitat Catalunya / Acció to develop its project.